its original grandeur, and great care was taken to preserve its elegance, and offers the most contemporary amenities while maintaining its historic charm. Its central location is invaluable. The hotel is connected via the skywalk to the RCA Dome, Indiana Convention Center and the Circle Centre mall which features more than 100 upscale shops and restaurants. You are within walking distance to PanAm Plaza, Indianapolis City Center, and 1 block to Conseco Fieldhouse. the amenities include; complimentary copy of USA Today delivered to your room, evening turndown service, express check-in and check-out, indoor heated pool, valet parking, shoeshine service, same day dry cleaning services, safe deposit box, multilingual staff, full-service business center, fitness center, heated pool and pets are allowed under 25 lbs. cigars. The 40 West Coffee Cafe offers espresso and specialty coffees, freshly baked breads and pastries, muffins, gourmet salads, sandwiches and desserts. 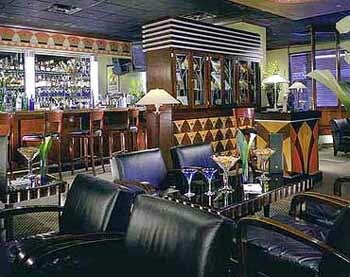 The Severin Bar is an intimate lobby bar located adjacent to the Hot Tuna. Guest room dining is available. Omni Gavel Services assures you that your meetings will run smoothly and trouble-free. Omni Hotels now provide meeting space and banquet facility specifications and floor plans to assist with your next event. The Omni Hotel guarantees that your meeting will run smoothly - that's the Successful Meeting Guarantee. From the lap-size indoor heated pool to the fully equipped fitness center - your every need is attended to. The fitness center features Lifecycles, Stairmasters, Lifesteps, Paramount weights, Ross air system bicycles, Universal treadmills, Rowing machine and mens and womens lockers. A "Get Fit' Kit is available at the front desk. This allows guests to work out in the privacy of their own room. The kit contains a floor mat, two dumbbells and elastic bands. 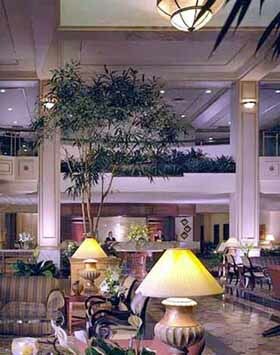 Come stay at the Omni Severin in Downtown Indianapolis and be assured of an elegant experience.